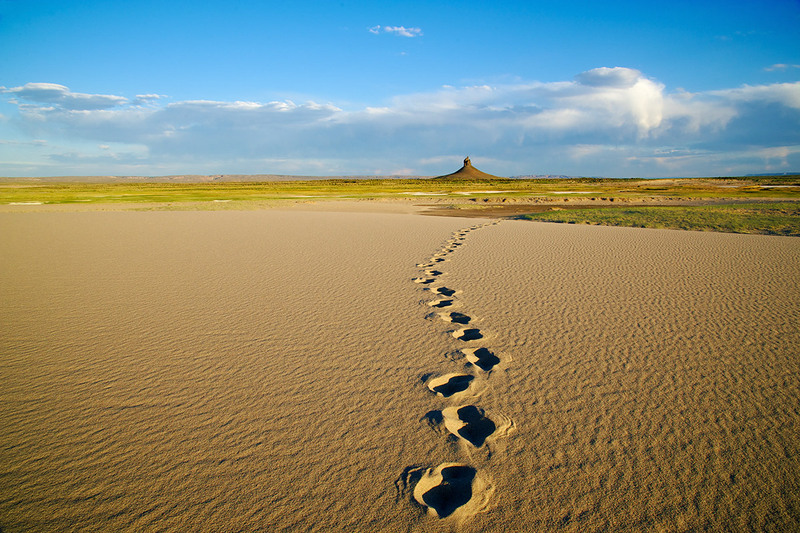 Tracks in the Killpecker Sand Dunes Area Of Critical Environmental Concern lead from the Boar's Tusk, an iconic volcanic monolith. Early summer in Wyoming's Red Desert. Photo © copyright by Dave Showalter.